Businesses operate in the dark, huge amounts of fish and fresh produce perish each time there is black out. People are simply tired of darkness. Electricity supplied is unstable, expensive, and insufficient for Malagasies. Residents find hope in renewables. 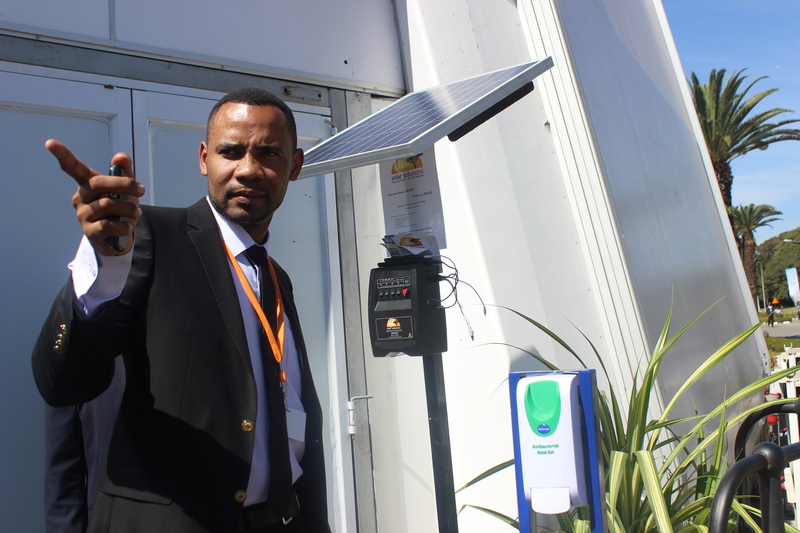 Solar chargeable panels and lamps are increasingly used to replace, stand for, or complement power outages in Madagascar. Renewable energy initiatives are being leveraged to increase energy access. Off the southeastern coast of Africa, lays the biggest Island in the continent, Madagascar. It is home to tremendous biodiversity. Madagascar is famous for its lemurs, beaches, rainforest(baobabs), and reefs. The country has a population of about 23.5 million inhabitants, mostly living in small villages and rural towns. According to the World Bank, 75% of the population are poor and the growth rates for the past few years is relatively low, but fairly constant between 2-3%. Many people can’t afford a daily meal. Access to basic needs of health, education, clean water and energy is a luxury to many. In villages and rural towns, people live in the dark. They lack electricity and clean cooking energy. Reports suggest that about 19.3 million Malagasies are counted among the close to 353 million Sub Saharan Africans that do not have access to electricity. In fact, only about 16% of the population, mostly city dwellers, have access. But the trouble in the cities with energy is sometimes worse than in remote areas. Having light at home is not always easy for people as JIRAMA, state owned water and electricity distribution company, often subject households to endless power cuts and rising power bills despite the cuts. Blackouts can go for hours, even days, and businesses operate in the dark. Market garden traders and fishermen in the cities of Toliara and Antananarivo complain about these power failures. They say a great amount of their products perish each time it happens. Because electricity supply is limited, people greatly depend on biomass for energy- about 80% of national consumption-mainly from firewood 68% and charcoal 10%. Like almost in every country in Africa, energy is derived potentially from hydroelectric dams. But unlike other countries, hydroelectricity supply here is not abundant. In fact, it is expensive and unstable thus, many Malagasies cannot pay for it. 16.7 US cents per kwh is simply too much for citizens to pay, even in the big cities. People, most especially in the rural areas can use that amount to provide a family daily meal. hydropower estimated at 7,800 MW. Yet, this huge potential has not been sufficiently leveraged with investment over the years. Government investment in the area of energy is not encouraging since it contributes to just about 1.3% of its annual gross domestic product. In the search for solutions, it happens that citizens are currently embracing solar energy to stand for, replace, or complement electricity supplied by the state. Solar energy is increasingly used in Madagascar. People now depend less and less on JIRAMA. Thus, the use of renewable energy is becoming popular as legitimate option. Because solar energy is popular, sales of renewable energy products in the Malagasy markets is soaring. From solar panels, solar chargeable lamps, to solar power banks, it is becoming a profitable business for locals. Sellers are spotted in all provincial headquarters and popular markets. Innovations and other options to develop clean energy are highly recommended by experts working in the country. They estimate that biomass, which is the main energy source for the country, has caused enormous loss of biodiversity over the years. Recently, a number of actors have sought to help Madagascar capitalise on its immense energy potential to provide clean energy to citizens. Some initiatives are currently being developed. Solarmad is a local initiative specialising on renewable energy in remote areas in Madagascar. It provides people in the suburbs with solar power through panels. With this innovation, many families in remote villages can light up homes using power tapped from the sun. Another initiative from Stucky Ltd plans to leverage 25MW Hydro & Solar in Madagascar. The company recently won the 2016 Access Co-Development Facility (ACF) prize, during the Africa Energy Forum in London on June 22, 2016. ACF is a financial support mechanism for renewable energy projects in Africa. It is becoming more and more evident that renewable energy will thrive in Madagascar. Publicly led solar lighting initiatives are occupying the country. A good example is the solar panels on the road to the Anosipatrana dam, installed in early 2014.